Primarily self-educated, he rose to prominence through his own effort and enterprise. In 1890, He became the sole proprietor of the Oneonta "Herald," a weekly newspaper. He was a pioneer in the time recording industry. In 1896, in association with his friend Harlow N. Bundy he joined the Bundy Manufacturing Company, a time clock manufacturer, as both an investor and director. In 1900 Fairchild formed the International Time Recording Company as the selling agency of the Bundy Manufacturing Company, Willard and Frick Manufacturing Company, and Standard Time Stamp Company, which also manufactured a card recorder. 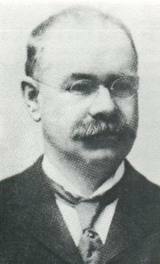 In 1911, when the Computing-Tabulating-Recording Company was formed through the efforts of Charles R. Flint, Fairchild became president of the new company. He later became chairman of the company and continued in this role when in February 1924, C-T-R was renamed as IBM. He was chairman of IBM until his death on December 31 of 1924.